Hats off to the folks at Covidien. They’re going all out with Recess this year. 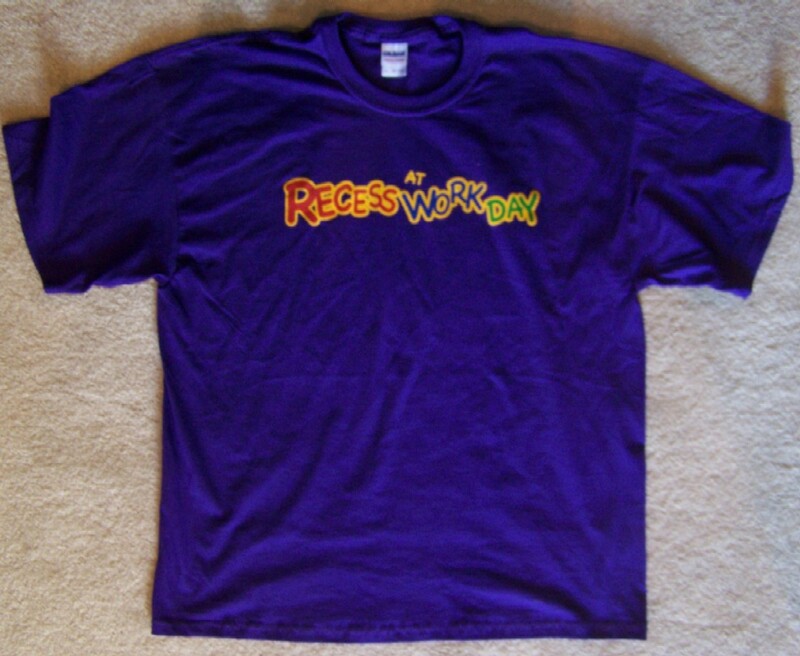 A corporate health and wellness break with Recess At Work Day T-shirts for everyone! Nice job folks. Can’t wait to see the pictures! But more importantly, can’t wait to hear the results on employee morale, employee engagement and so much more. This entry was written by RecessBoy, posted on May 26, 2009 at 4:40 pm, filed under Uncategorized. Bookmark the permalink. Follow any comments here with the RSS feed for this post. Post a comment or leave a trackback: Trackback URL.